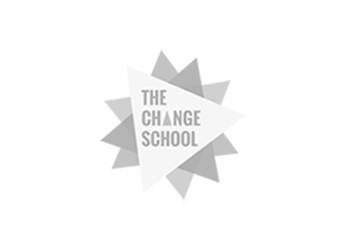 In case you missed this week’s Change School TV episode, Grace and Solonia share their experience dealing with career burnout and key strategies and tips for following the road to recovery. We all hit moments when we feel like we’re stuck in a rut, uninspired, or out of steam to move forward. When this happens, it’s important to give yourself the time out your mind and body need to recharge, recalibrate, and resume business as usual. If we ignore these cues and force ourselves to push on, the buildup of stress, unresolved concerns or physiological exhaustion can eventually wear us down - or worse, lead to a complete breakdown. When we’re so caught up in our roles, responsibilities and routines, periods of high-stress can quickly snowball into more serious problems that negatively impact our mental and physical health, performance, and overall wellbeing. But by bringing more awareness to our daily thoughts, feelings and sources of stress or worry, we can take preventive actions to avoid the major pitfalls of burning out. Part of the problem is that we seldom voice our work problems or challenges openly - whether it’s out of fear, pride, or a tendency to withdraw into our own shells - failing to seek out support when we need it, is the fastest way to exacerbating the issue. Having experienced first-hand the debilitating impact of career burnout, Grace and Solonia share their stories and three strategies for how to cope and follow the road to recovery. Whether you’re just starting to feel the burn, or feeling like you’re about to flatline, these tips will help you to start building your way back to your best self. Identify the source. Symptoms of burnout like chronic exhaustion, lack of excitement or motivation to do things are usually a tell-tale sign that something’s not working. Take a magnifying glass to examine key areas of your life/work that are causing you to feel stress, insecure or uninspired. The sooner you can diagnose the source of your burnout, the sooner you can start implementing the changes that need to happen. Remember that every challenge is an opportunity to do something better. Bringing awareness to your current situation and circumstances is the first step to recovery. Know your positive energy sources. Reflect on key questions about your work - What do I love about my job? What activities bring me joy, meaning and motivation? What activities zap my energy, confidence or creativity? Also consider your relationships - Which relationships are most important to me and why? Do those relationships currently uplift me or bring me down? What about your health and wellbeing - How do I recharge? Do I take time for myself? What lifestyle adjustments can I make to improve my physical and emotional health? Career burnout can be a rough and drawn out experience, but it’s important to honour and heed the signals that are telling you when it’s time to pause, slow down, and pay attention to what’s not serving you. Unplug. This can be particularly challenging for over-achievers, workaholics and entrepreneurs. It’s important to understand that taking time off is not just a ‘nice to do’ - it is imperative for anyone striving to do more and be more. Remember that it’s a marathon, not a race. So the goal isn’t a dash to the finish line (because let’s face it, the ultimate finish line is when we bid this beautiful world goodbye); the goal is to stay in the game til the very end with determination, passion and joy. In order to sustain ourselves through the journey, we must be able to manage our time, pace and energy efficiently. Neglecting to do so will hinder your productivity, creativity and physicality, so it’s important to carve out time to replenish your resources and create healthy boundaries that will enable you to perform your very best and bounce back from burnout stronger than before. Are you concerned that you may be burning out? Download our DIY Diagnosis and Treatment Worksheet to help you check for symptoms, determine how critical your current condition is, and start taking measures to get you back to 100%. Are you already at a critical point of career burnout? Sign up to our waitlist for our next online course (coming soon!) to start planning your Bold Move. Are you looking for a tool to help you turn your burnout around? Register your interest in our Change Planner to be notified when we launch on Amazon and get your personal companion for re-prioritising your life and focusing on what fills you. 1. Daylio enables you to keep a private micro-diary without having to type a single line. 2. Buddhify helps you reduce stress, be present and get better sleep no matter how busy your lifestyle. 3. SAM helps you to understand and manage your stress and anxiety.